Experience just how convenient and enjoyable living in the foothills can be in this well-appointed, peaceful and meticulously maintained home. Itâs open floor-plan is bathed in natural light and generously allows for highly functional shared and private spaces. The residence exudes the look and feel of livability with main floor living and a functional floor plan accentuated by the modern kitchen, formal dining and cozy eating area, while the main floor master suite, sitting area and master bath provides a welcome retreat. A walk-out lower level boasts high ceilings and numerous windows, adding character to the inviting family room and game room while a private guest bedroom, large study and well-equipped kitchen area make the lower level an ideal space for entertaining or relaxing. 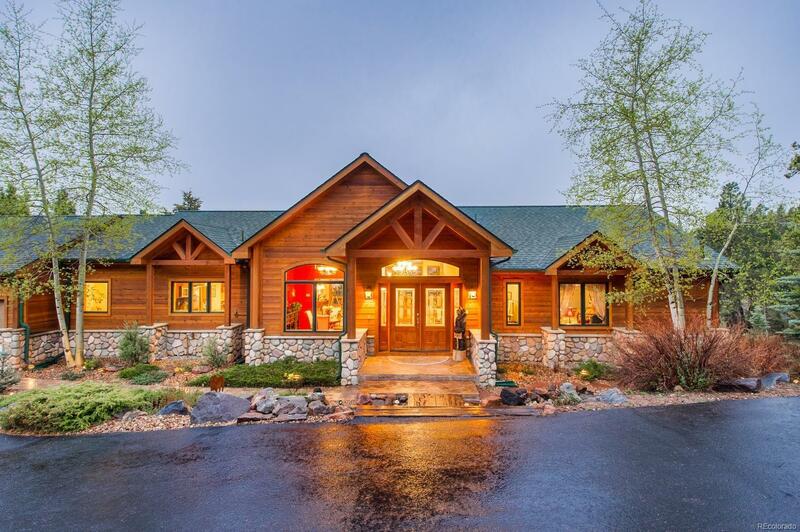 Perfectly situated on 10 private acres, the home captures beautiful mountain vista views yet is located just minutes from Hwy 285, schools and shopping. Mountain living has never been so convenient.